If you plan on selling your Colorado home, it’s important to ensure your landscape is in tip top shape before listing your home on the market. As potential home buyers visit your property, their first impression will be based on your home’s curb appeal. If your outdoor landscape is underdone or overlooked, it could have a huge impact on the sales process. 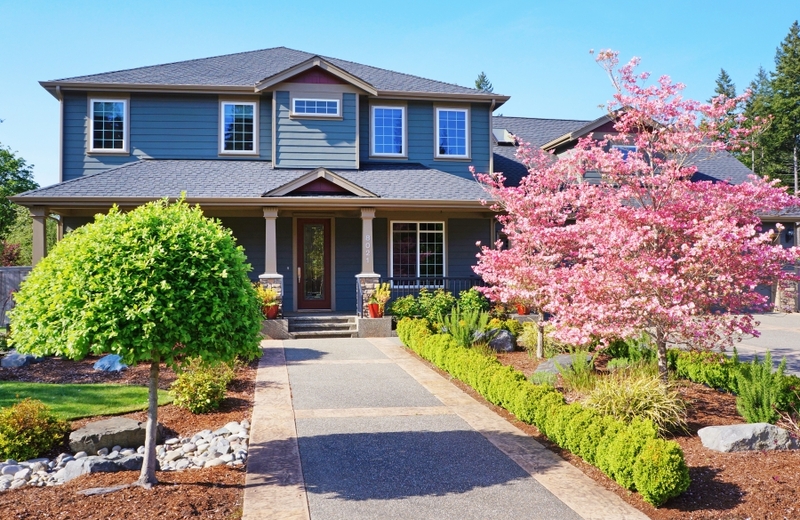 An attractive and well-maintained landscape can add a tremendous amount of value to your home, and may encourage buyers to make an offer sooner rather than later. In this blog, we’ll take a look at some popular landscaping tips to help you sell your home fast. If you need assistance improving your home’s landscape and you don’t know where to start, contact Advanced Landscaping & Sprinklers in Fort Collins today. We offer a plethora of landscape installation, renovation, and maintenance services to keep your yard a lawn beautiful and appealing all year round. Flowers are a great way to make your home look and feel more welcoming to prospective buyers. You can choose to adorn your home’s entrance with assorted annuals and perennials to give your front yard a little more color and charisma. If you have only have small amount of space between your front door and the street, adding a decorative, low fence can add tremendous value to your home. A fence can help give the illusion that your house is farther away from the street than it actually is, and can make a great space for planting flowers and vines. Another excellent way to spruce up your lawn is to plant lovely rambling vines. Our landscape professionals believe that there’s nothing more romantic or stately than deep green tendrils winding around your home’s fences or columns. A great vine to consider for your home is clematis. One of the showiest vines available, it blossoms in blue, purple, red, pink or white. Consider growing this versatile vine along your home’s fense or on a trellis. If you’re looking for a rough-and-tumble plant that can withstand the harsh elements in Colorado, consider planting low fuss lilies in your home’s garden. Available in an array of colors and rainbow hues, these flowers will adorn your yard with vibrant colors and patterns. Since these flowers grow into large bulbs over time, they are very low maintenance and practically indestructible. In order to avoid a one-dimensional landscape design, consider adding some height to your garden with planters or flower baskets. These eye-catching layers can help create the illusion of waves of blossoms rising and falling across your yard. When shopping for planters and baskets, try to choose ones that will complement the exterior of your home. If your house features dark blue paint with white trim, adding white planters to your flowers is a great way to make the exterior of your home pop. As you may know, sheds, garages, and outdoor workspaces are not always the most attractive accents to your home. If you have a worn down shed in your backyard, consider covering up the structure with a beautiful display of flowers and plants. Potted ferns are a great solution to add to the base of your shed, not to mention they can add a touch of ambience to your entryway or driveway as well. Another great way to improve your home’s curb appeal is to power wash the paved surfaces around your home. If you have a sidewalk in front of your home that leads to a main entryway, make sure to power wash this space. Your home’s sidewalk is one of the first things potential home buyers will see, so it’s important to give them a sparkling impression of the rest of your home. With a little power washing, you can make grungy and grimy surfaces look virtually brand new. As you can see, there are many landscaping tips you can use to make the exterior of your home shine. If you need assistance maintaining your home’s landscape, contact Advanced Landscaping & Sprinklers in Fort Collins today!